Well, nearly the end of November and time for some twinkly lights and Christmas bunting. 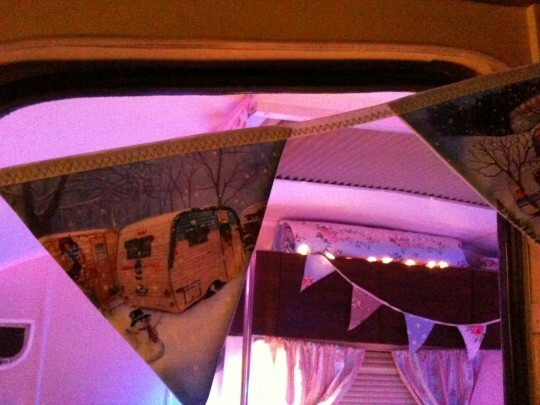 I can’t believe how lucky I was to find some vintage caravan snow scene bunting – just perfect! 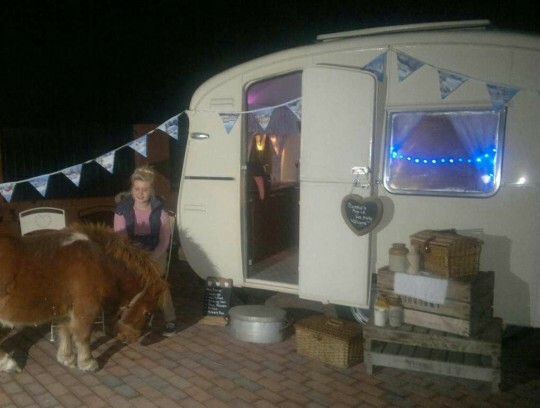 Bessie was invited to a girlie shopping evening in Staple where Bessie could sell cakes, christmas puddings and other goodies. 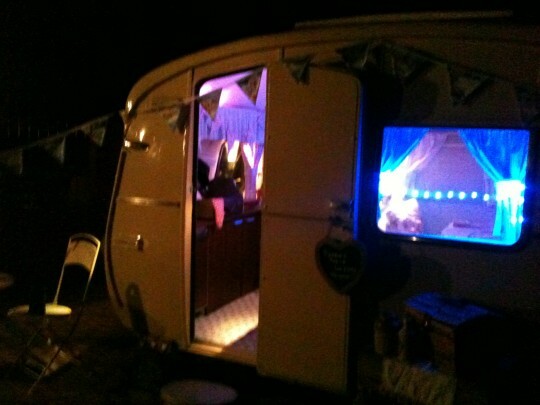 The smell of hot spiced apple filled the caravan and the new twinkly lights lit up the drive. 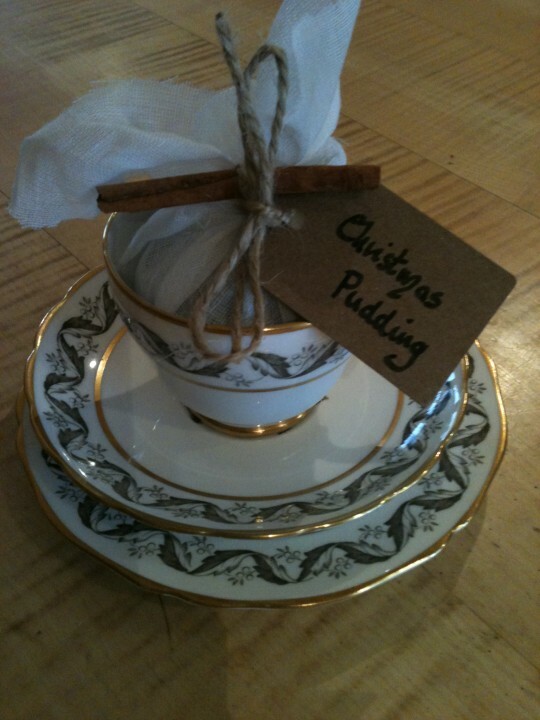 At the start of November, Canterbury 6th formers had suggested I sell hampers so this was my first opportunity to put this into action – home made puds, mini christmas cakes, herbal teas from The Flower Patch Company and handmade items.